StackrApp helps companies manage their technology stack collaboratively. Improve your employees efficiency and productivity. How do i create a mailchimp campaign? 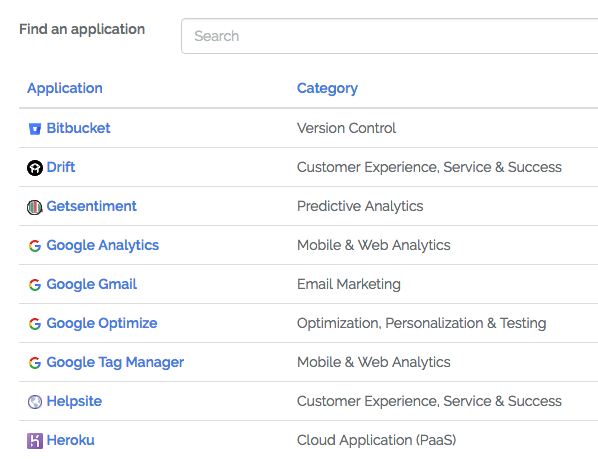 Which tools does the sales team use? Can i get user access for this app? We've got the solution your team needs! All your technologies, renewal dates, FAQs, owners, notes, documents etc. centralized and accessible by your team. Give your team members an easy and quick access to the inventory of technologies they need to get the job done. Email reminders are sent when renewal dates approach. Application owners directly receive questions from the team. We do the work for you. Give your team members ownership of technologies, delegate responsibilities to manage FAQs, documentation, vendor contact info, etc. Keep your team efficient by giving them the only tool they need to stay productive. Eliminate unecessary threads of emails or Slack messages to get answers. Keep an eye on metrics that matter: upcoming renewal dates, most used applications, breakdown per team, etc. All of your applications, web tools and software assets in a centralized location, at the fingertips of your team. It's Free. No credit card required.